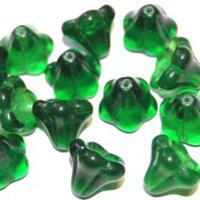 Pressed beads from the best Czech glass in green. Size 13x15mm. 1 PACK = 20pcs.